Fisheries is one of the few management areas where the Minister has sole responsibility to apply discretion when making sustainable catch and allocation decisions. This discretionary power is currently under threat by those wanting to privatise our fisheries and LegaSea is pushing back.Our fisheries are a publicly owned national treasure that must be properly managed and conserved to ensure abundance today and a fair go for future generations. Our fisheries are a publicly owned national treasure that must be properly managed and conserved to ensure abundance today and a fair go for future generations. In the past 12 months several reports have emerged analysing New Zealand’s Quota Management System and predictably criticising Ministerial discretion in favour of proportional allocation. 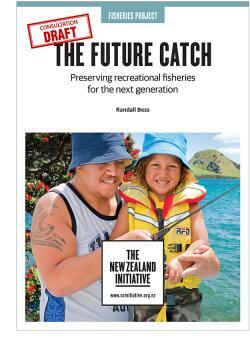 The common themes are that recreational catch is increasing and uncontrolled, harvest is unknown and may exceed current allowances, and that representation of recreational interests is fragmented. Nothing could be further from the truth. However, it is a convenient conversation starter for those seeking to upgrade commercial interests through privatisation. Let’s get real. The Minister, currently Stuart Nash, considers all available information and conservation needs before deciding how much fish can be caught when setting a Total Allowable Catch (TAC). He then decides how much fish is set aside to ‘allow for’ for customary and recreational fishing as well as all other mortality caused by fishing. Then he sets the commercial catch limit, the Total Allowable Commercial Catch (TACC). The Courts and legislation clearly state the TACC can be set at zero. 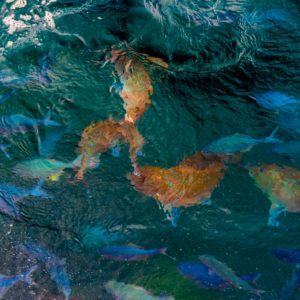 The TACC is then divided amongst commercial interests proportionally, according to how many TACC shares they each hold in the fish stock that is under review. A TACC is expressed as 100,000,000 tradeable shares. Proportional allocation Being last in the queue has long been a bugbear for privatisation exponents. Corporate commercial interests have spent years advocating for a shared allocation system where changes to the Total Allowable Catch do not change the relative share of the catch between sectors, so no allocation decision is needed by the Minister. This is called fixed proportional allocation. Proportional allocation is grossly unfair when applied to fisheries depleted by years of excessive exploitation and inshore trawling. It takes no account of who has caused the most damage to the fishery, dumping or deeming, and nor does it reward those who have conserved fish. Proportional allocation would give existing commercial quota owners the lion’s share of increases to most inshore fish stocks. It would also limit our ability to feed our family, and the obligation to future generations’ needs would be quickly subsumed by the drive to export more fish. At numerous meetings people have told LegaSea they are willing to conserve fish for the future but are adamant they will not conserve fish if it means greater exports and more inshore trawling. The Minister must remain the sole and statutory protector of the fisheries, our allowances and future interests. Recreational controls The Minister has a statutory duty to firstly set aside enough tonnes of fish to ‘allow for’ recreational and customary fishing, and then apply regulations to maintain recreational fishing at that expected level. After the 2013 Snapper 1 fishery review the Minister increased the TAC by 500 tonnes, adding 450 tonnes to the overall recreational allowance and setting aside 50 tonnes for customary interests. There was no obligation on the Minister to increase the TACC even though there was intense lobbying by commercial interests to do so. In 2013 the available fish was split commercial 60%, recreational 34%. The final Minister’s decision changed the split to 56:38. If the initial proportions had been maintained the TACC would have increased by 270 tonnes and the recreational allowance by only 153 tonnes, instead of 450. Many fishers were unhappy with the Minister’s decision to reduce the recreational daily bag limit from 9 to 7, and increase the minimum legal snapper size from 27cm to 30cm. It could have been worse. Based on the Ministry’s 2013 advice a proportional decision would have required a daily bag limit reduction from 9 to 4 snapper per person, at 30cm. Harvest estimates The 2011-12 National Panel Survey found that around 600,000 people fish annually harvesting an estimated 11,000 tonnes of fish and shellfish. Snapper made up almost 27% of total harvest. Another 12-month national survey is underway now with results due in 2019-20. The methodology used in these surveys has been internationally reviewed and recognised as robust and delivering meaningful results. In 2015 a senior Ministry (MPI) official advised that they probably had better data on recreational harvest for the main species than any other sector because there is uncertainty around customary harvest, commercial discards, levels of illegal harvest and fish thieving by all sectors. In 2014 the Director of Fisheries Management acknowledged discarding has been an issue since the outset of the QMS and is still the “single biggest issue we face in our wild stock fisheries”. 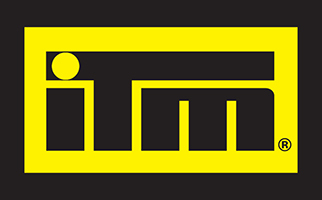 MPI cannot quantify the tonnages involved but the same official said, “We suspect they are significant to the point that they are impacting on stocks”. Recent reports of chronic dumping of trawl catch emphasises the uncertainty around self-reported commercial catch compared to actual landings. 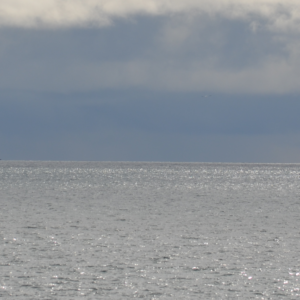 Current legislation acknowledges there will be different levels of uncertainty and a fisheries management decision cannot be withheld due to a lack of detailed harvest information. Greater levels of uncertainty must be compensated by the Minister making a more precautionary decision, this could include setting aside a higher overall recreational allowance. Managing by quota Proportional allocation is being promoted as a means to ‘control’ recreational fishing by replacing the current allowance with a quota limit. As with commercial fishers, a quota requires every fisher to be licensed and each harvested fish to be accounted for to ensure the quota is not exceeded. Any excess recreational catch would be considered a breach of the Quota Management System and an encroachment on commercial interests. A rights based system without Ministerial discretion on allocation means that recreational fishers will need to ‘go to market’ to buy quota from commercial quota owners to cover any shortfall. Stricter controls would need to apply to recreational fishing, all requiring millions of dollars of funding, administration, monitoring, and enforcement. In some overseas jurisdictions, this has resulted in a ridiculous one or two-day season for recreational fishing while commercial operations continue. Any which way, proportional allocation imposes costs on recreational fishing and puts up barriers that currently do not exist. Representing recreational interests Much is made of the need for a single, unified recreational voice to simplify dealings with the Ministry and commercial sector. 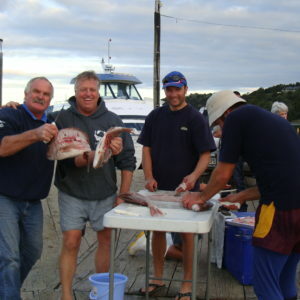 In West Australia, recreational fishers are represented by a Government-funded peak body called Recfishwest. In New Zealand, we have always emphasised the need for more open, independent and meaningful consultation and engagement, not less. Irrespective of what the various reports suggest, the reality is that there is already a strong recreational voice ‘at the table’. The problem is our collective voice has been consistently ignored. 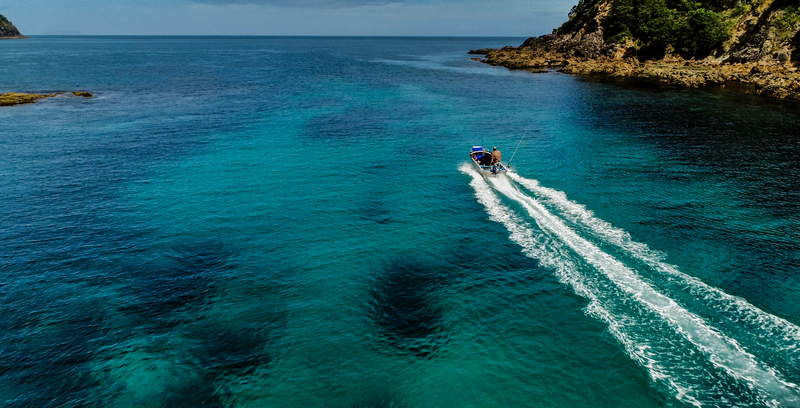 Through LegaSea the New Zealand Sport Fishing Council now works with a range of organisations to achieve the common goal of more abundant fisheries. The Ministry on the other hand has actively sought to manage the recreational voice through the formation of a ‘Recreational Initiative’ team. This team has tried and failed to act as the gatekeeper to the decision-making table. The real issue is not the lack of a unified voice, as healthy debate and different perspectives can contribute to balanced decisions based on the quality of submissions made in the public interest. The primary problem is MPI’s tendency to shoot the messenger. MPI do not give respect to our voice because we have over the years highlighted the Ministry’s shortcomings. This behaviour is unacceptable. Ultimately, there is no need nor appetite for a single, government-controlled recreational voice. 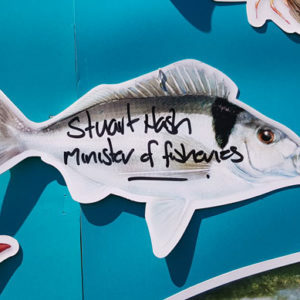 Summary Corporate commercial fishing interests have openly promoted market-based systems for decades and consider a fixed recreational quota and the removal of Ministerial discretion as the fastest way to maintain control over the bulk of New Zealand’s marine resources. It is no surprise they actively support these recent reports by rights-based management proponents because there is money and power to be had under proportional allocation. LegaSea says recreational fishing is more about our (current and future) social and cultural wellbeing than money and power. And no amount of fancy words in these reports will convince us to give up the opportunity to put a healthy, freshly caught meal on the table for our family and friends to enjoy.